The first time I set foot in Flagstaff, I was shocked. 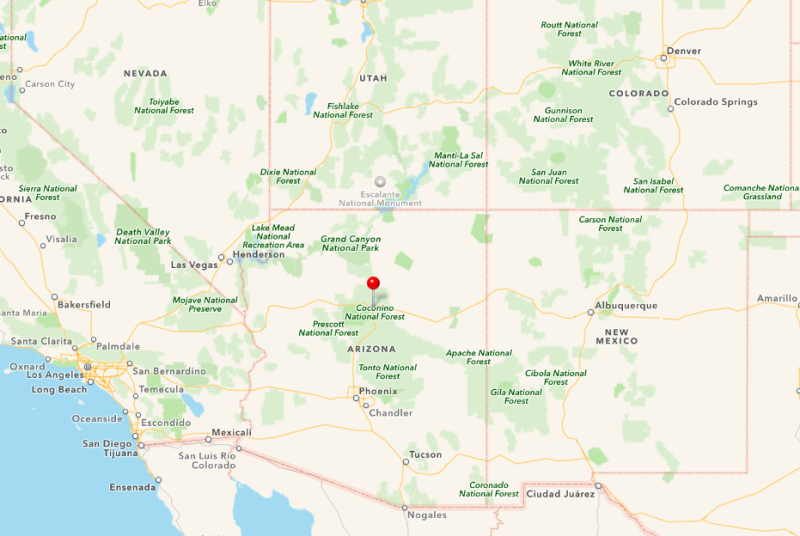 Coming from the Northeast, I’d always pictured Arizona like the landscape in Wiley Coyote and the Road Runner cartoons – a barren desert, devoid of everything except cacti and the occasional rock formation. Flagstaff looked more like something I’d expect to see in Colorado. Majestic pine trees, rolling hills, and a fascinating blend of architectural styles greeted me when I arrived. The same views awed our crew as they arrived onsite in Flagstaff to film season three’s episode of Travel Thru History. Established in 1882, the history of Flagstaff stretches into prehistory, and the most fascinating inhabitants weren’t even human. I hope you’re prepared for an adventure, because we’re tackling everything from dinosaurs to extreme adventure courses. Flagstaff is a Route 66 survivor. The town’s heyday arrived in 1921, with the construction of the Mother Road, which dipped through Flagstaff on its way to Santa Monica, CA. Unlike many of the southwestern towns that climbed to prominence with Route 66 only to fade away with the construction of newer superhighways, Flagstaff stuck around. 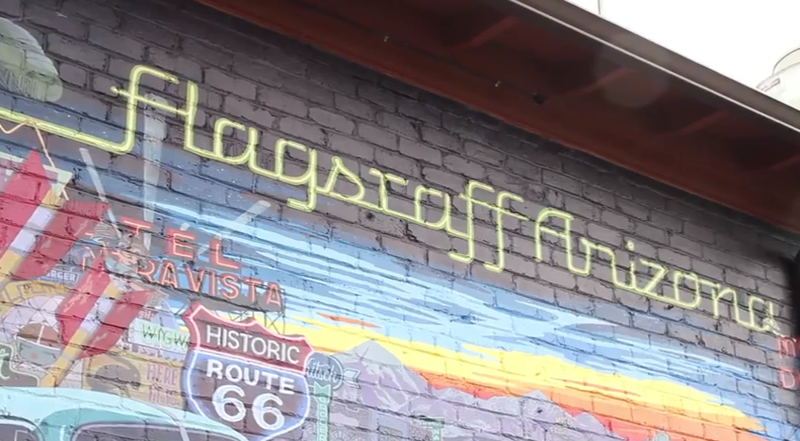 The city is proud of its history as a popular Route 66 stop, and a self-guided walking tour of the piece of Route 66 that bisects Flagstaff is a popular tourist attraction. Memorabilia from America’s most famous highway is visibly displayed in many area shops. Rumor has it that the song “Take it Easy” originally included Flagstaff in its lyrics, but later swapped the city’s name for Winslow, which was easier to sing. Flagstaff might have faded out of existence if it weren’t for the national parks in the area. When Route 66 dropped in popularity, little existed to attract visitors to many smaller stops along the highway. Flagstaff had something, though. …the Grand Canyon. And the Walnut Canyon National Monument. And the Flagstaff Area National Monument. And Sunset Crater National Monument. And….well, you get the point. Sunset Crater National Monument. Photo via wikimedia commons. There’s no shortage of outdoors activities in Flagstaff, and the scenery changes quickly. The area has a wild beauty that can’t be overestimated. The geologic formations are nearly as fascinating as the area’s recent history, and are equally impressive. I don’t need to tell you that a visit to the area’s national parks and monuments is in order, but I’d be lying if I said that was all Flagstaff had to offer. For a small city, it’s made a huge impact on history; one you’ve got to experience to believe. From astronomy to gastronomy, Flagstaff is a town worth getting to know. One former planet and current dwarf planet owes its discovery to Flagstaff’s Lowell Observatory. A private, nonprofit research institute, Lowell Observatory was the brainchild of Percival Lowell, a diplomat and astronomer with a passion for Mars. In 1930, Pluto was discovered here – the first planet discovered in America. 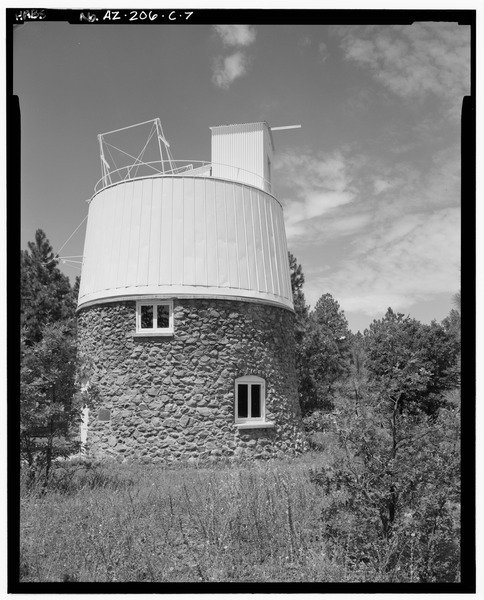 Established in 1894, the Lowell Observatory is still in operation, and is home to the Discovery Channel Telescope. Astronomers discovered proof of the expanding nature of the universe here, and mapped the landing area on the moon for the Apollo missions. Telescope dome where Pluto was discovered. Photo via the Library of Congress. Lowell Observatory isn’t the only place where astronomy has made an impact in Flagstaff. Where Meteor Crater is concerned, the impact was a touch more literal. The unique landscape of Meteor Crater was formed as a result of an impact that took place approximately 50,000 years ago. More than one mile across and 550 feet deep, the site is an impressive testimony to the effect that a tiny rock can make on our planet. This is the kind of natural history that will leave you breathless. Don’t miss it. It’s a bucket list item to check off. Daniel Barringer’s Crater often just called Meteor Crater. Photo via Wikimedia Commons. The inhabitants of Flagstaff know that history matters across eras. Inside the Museum of Northern Arizona, the area’s past is preserved carefully. From dinosaurs to indigenous peoples and modern settlers, the museum covers northern Arizona’s most fascinating moments in time. You’ll find exhibits dedicated to geology, ethnology, textiles, fine arts, and more inside the walls of this facility. Outdoor walking trails and two courtyards crown the museum’s collections. Museum of Northern Arizona Exterior. Photo via Wikimedia Commons. 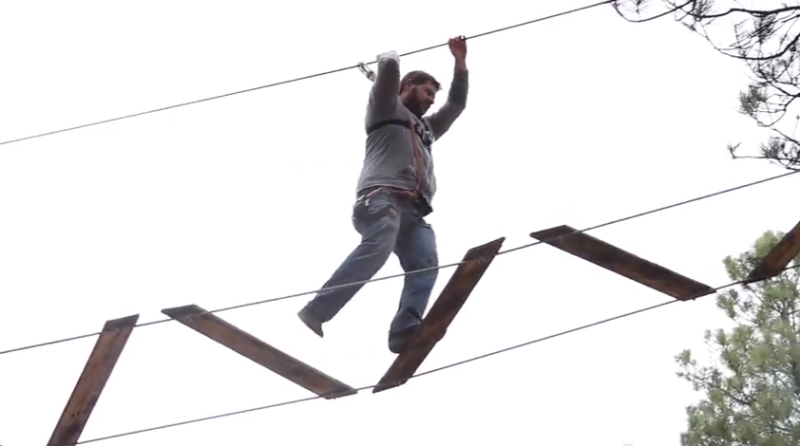 Located in historic Fort Tuthill County Park, the Flagstaff Extreme Adventure Course tests each visitor’s ability to overcome its extreme challenges. The sugar cookie smell of Ponderosa pines are deceptively inviting. The course itself might serve as a modern reminder to the endurance and strength training that a century and half of military personnel experienced on these grounds when the park was a functioning military facility. Tree to tree swinging obstacles make this way more than just a zipline. These type of courses are popping up all over the US, and doing them from Flagstaff’s ubiquitous Ponderosa pines is not to be missed. Be warned, you’ll be put to the test, but it’s worth it. After all that adventure, you should be hungry. When you’re ready for a bite to eat, sit down at one of the following restaurants we visited and taste Flagstaff’s past. If you’ve ever wondered what would happen if Irish and Southwestern cuisine collided, look no further. Even if the idea of Irish nachos never crossed your mind, you’ll want to stop by this delightful eatery. Bar and pub fare, an interior that would look equally appropriate in Belfast and Flagstaff, and an impressive drink menu make Collins an excellent place to refresh after a day of adventure. Dating from Flagstaff’s early days, the building that houses Josephine’s was constructed in 1911 and is an excellent example of a Craftsman Bungalow. Over the years, it has housed many of Flagstaff’s most prominent residents. Today, it houses the best osso bucco you’ll ever try, with a unique Southwest twist. If that’s too rich for your blood, the salmon is another excellent pick, drizzled with cranberry citrus sauce and paired with butternut squash, it’s a perfect pick for fall. For more information or to plan a trip to Flagstaff, visit www.flagstaffarizona.org.